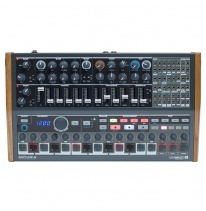 Minibrute definitely is one of the most solid analogue monophonic synths. It first appeared in 2012, and now, in 2018, there’s time for an update. You will find all controls (oscillators, filter, envelope) on the Minibrute 2 which means there is plenty of potential to shape your own unique sound. 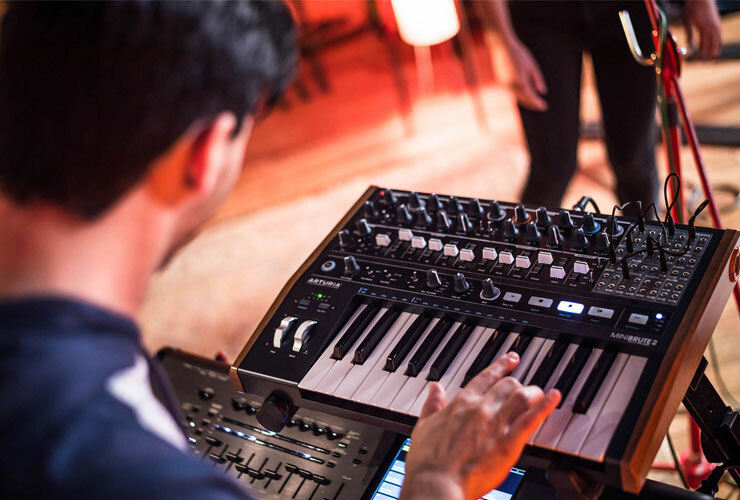 The synth with integrated sequencer also boasts a 48 inputs/outputs modular matrix, allowing you to experiment with its internal settings or connect other additional modules to Minibrute 2 using patch cables. 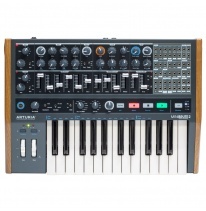 Arturia rides the wave of semi-modular synths, which is probably going to rise as high as a tsunami. We believe Minibrute 2 is the one for fat basslines, but not only, because it’s a great addition to any studio. Semi-modular means there’s not a very long distance to going full modular! 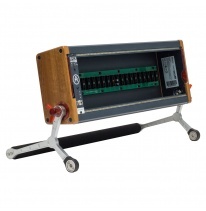 And this is where Arturia steps in with RackBrutes – cases dedicated to Eurorack modules. 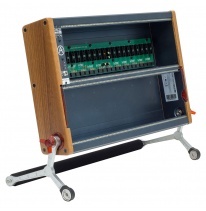 There are two different sizes (one row 3U and two rows 6U) with integrated power module (+12V / -12V / +5V), the handles of RackBrutes also double as stands allowing you to change the angle of the standing case. Arturia Link is created to connect whatever you have in your RackBrute straight to Minibrute 2 or Minibrute 2S. It’s really not possible to use modules without a proper Eurorack case, and looks like Arturia understands this well – RackBrutes are not expensive if compared to other manufacturers, and they are easy to transport. This is really cool!